If you’ve committed to any type of fitness lifestyle then vacations can be difficult for you because they throw off your workout schedule. If you’re still trying to get physically active in life then vacations can be even more of a setback. If you happen to take a vacation to the beach though, we have some options for you. For specific exercises and workouts feel free to visit the links we’ve provided, but right now we’d just like to discuss why we’re talking about this. 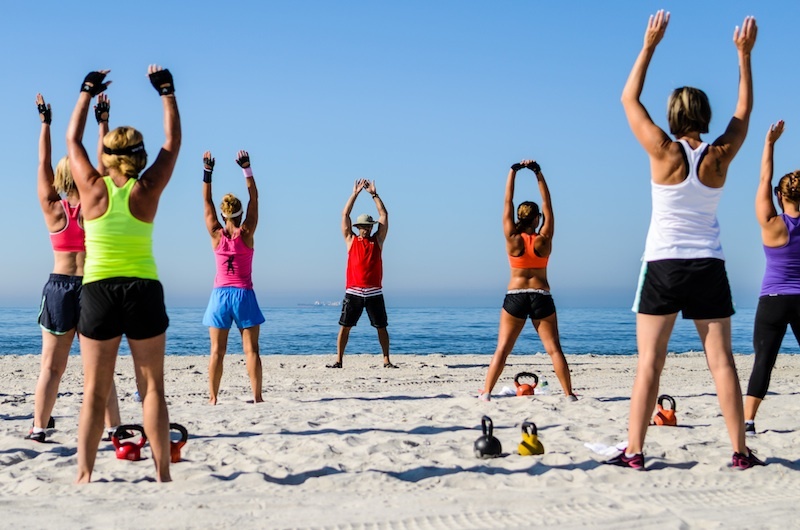 There are multiple benefits to training outside opposed to working out in a gym-especially at the beach. It’s obvious at this point that we here at LMO! are biased to outdoor activity-we adore it. We encourage you to check it out for yourselves and hopefully reap all the benefits that we’ve already experienced ourselves, they’re so refreshing. If your family is hitting the beach for the day, even at Presque Isle, make it a point to try something new and take your exercise to the sand. Let us know what you love about it, or even what you don’t. Be sure not to forget your sunscreen! The excess sweat from your workout will make your more prone to sunburn, so lather up!